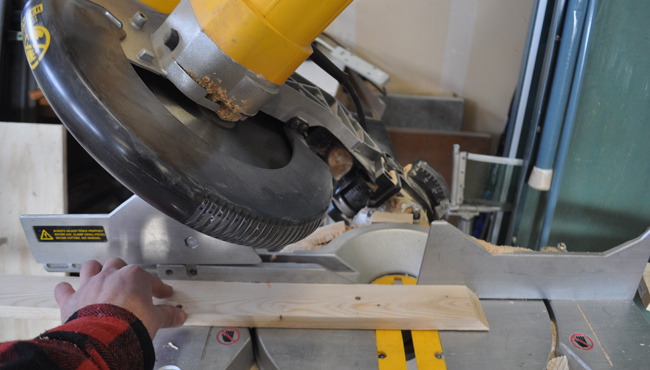 Miter Saw – A hand saw will work but a Miter Saw will make the project go quick! 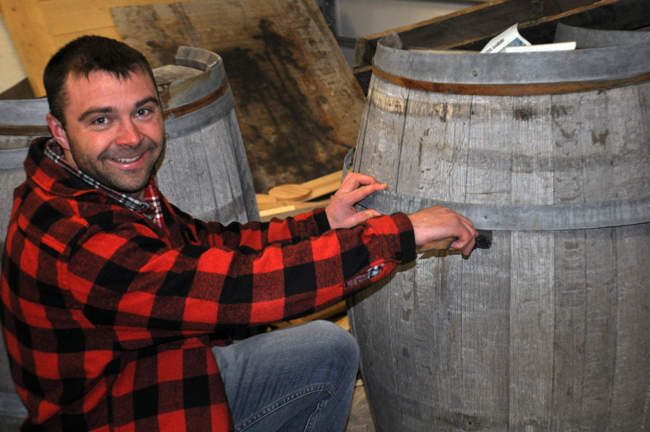 You have a few different options for sourcing a whiskey barrel. 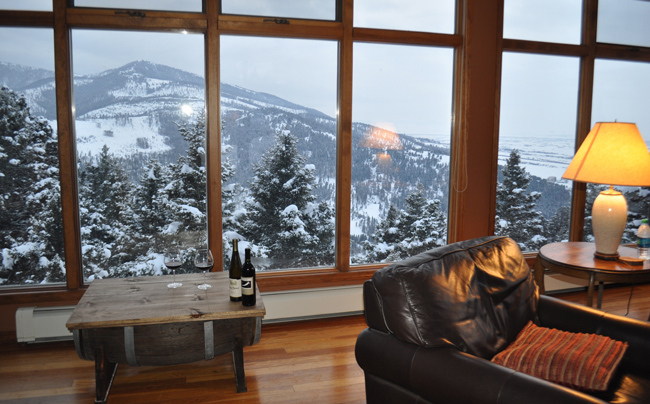 First, I'd recommend contacting local whiskey distilleries or wine vineyards in your area. 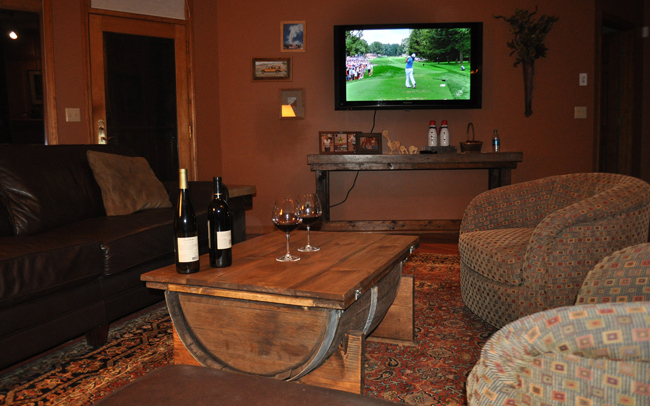 Second, search Craigslist or put a wanted ad up that you are looking for a whiskey barrel or wine barrel to make furniture out of. Ebay is also a great place to check, as well as Amazon. 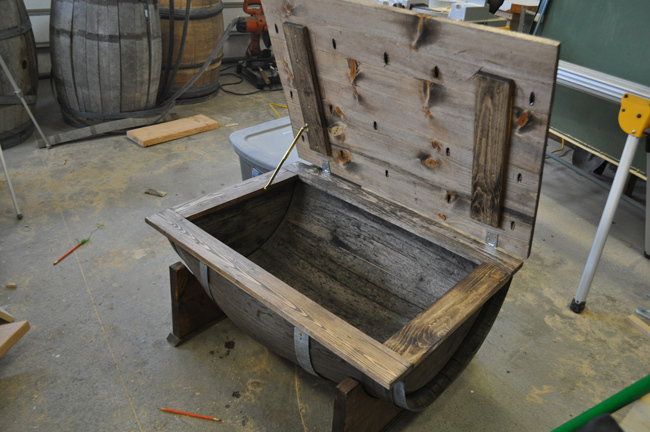 I've had friends order this barrel off Amazon which is $99 + $100 shipping. It is a full barrel so you would need to cut in half. You'd be able to make two tables with it. 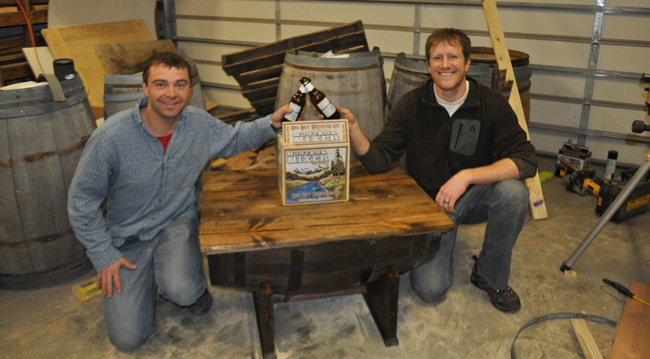 Finally, farm and garden stores sometimes will carrie barrels or half barrels used as planters. Check out stores like Murdochs or Kenyon Noble if you have them in your area. 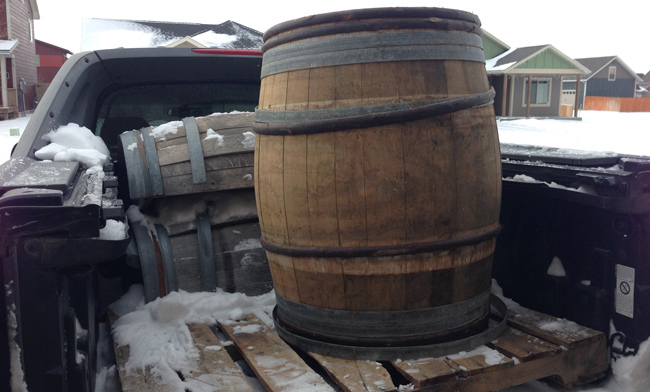 I found a few barrels locally in Montana from a super nice guy who was selling them on Craigslist. I feel like I got a great deal because I paid $100 for the full barrel and $25 for the pre-cut half barrels. 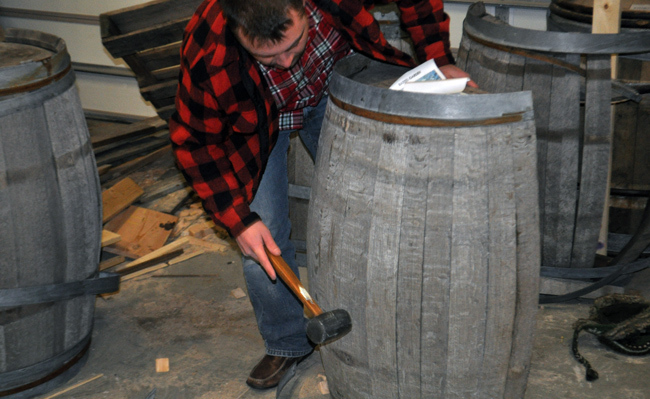 If you get a full barrel you'll need to cut it in half using a jigsaw or sawzall. 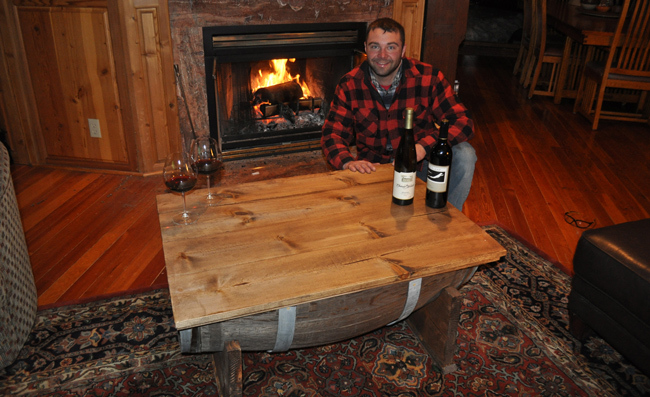 I made my table out of a pre-cut whiskey barrel I found locally. They had been sitting outside for a few years and definitely had some character. Use a prybar to remove the metal bands. The bands are most likely secured with nails and so they should pop right off. 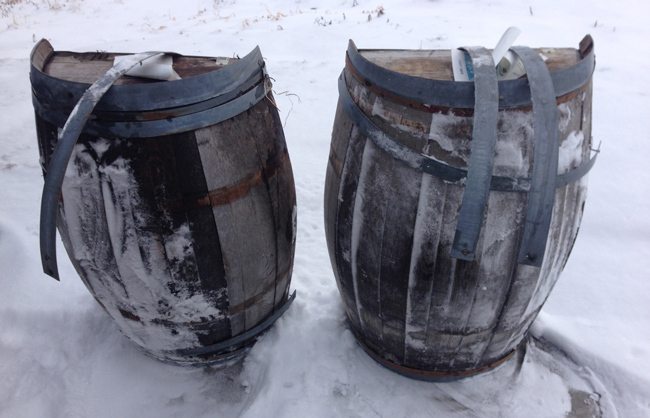 Do not take the end bands off, because the barrel will fall apart if you do. 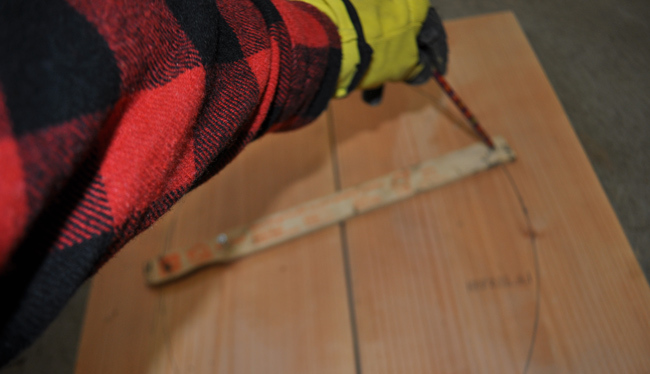 Use a rubber mallet to flush up the boards if they stick out farther than they should. Do your best to get them somewhat even with each other. 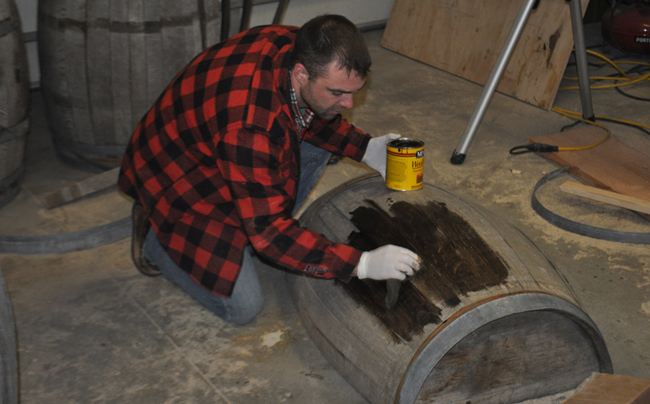 Lightly sand the barrel using 220 grit sandpaper to remove debris and smooth out the barrel. Wipe or brush stain on the barrel. I used “Special Walnut” stain from Minwax. Let the stain dry and then put the metal bands back in place. 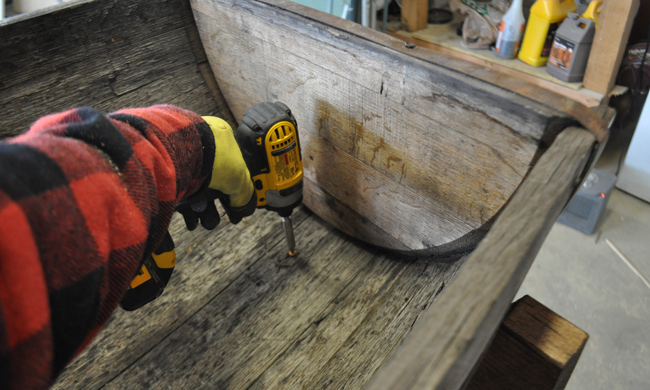 You will be able to line the holes up on the bands with the old nail holes that are still in the wood. Use 1 inch screws to re-connect the bands. The screws are helpful compared to nails because they will sometimes pull on boards to even them out. The next step is to build the base out of 2×12's. I cut two 2×12's to 27 inches which is the widest part of the barrel. The paint stick is used as a compass. 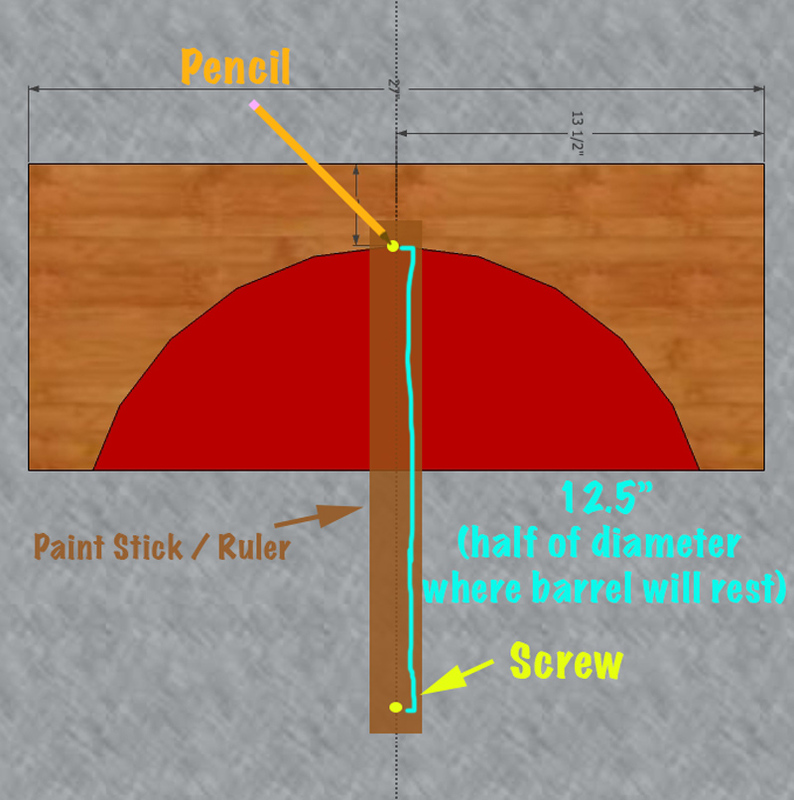 Put a pencil through the top hole to draw an arc and put a tack or screw through the bottom hole to use as a pivot point. 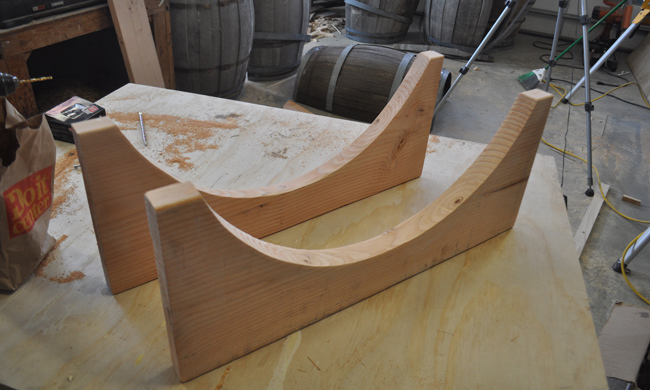 The barrel base pieces will have a nice arc after they are cut out with a jigsaw. 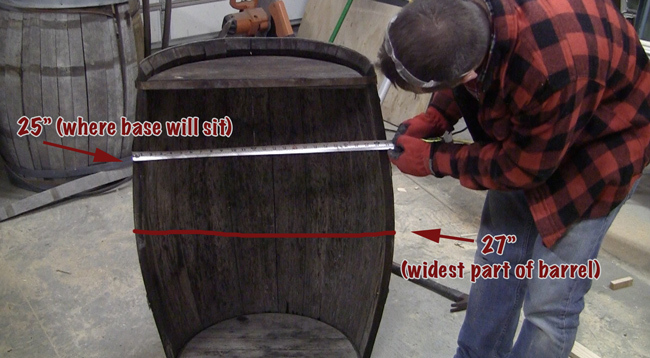 Test the base pieces with the barrel. You can make adjustments using a jigsaw or a a flap sander on an angle grinder. 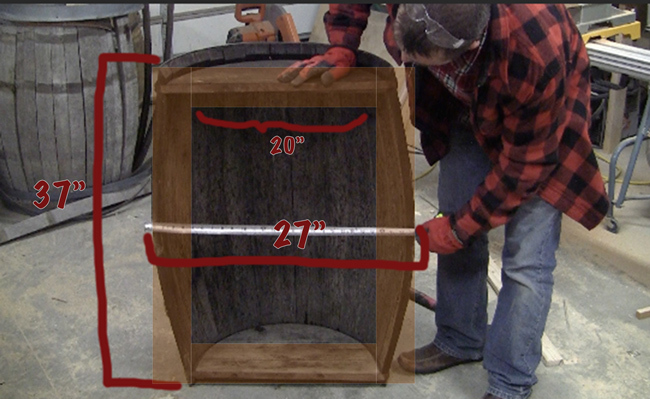 Use a level and tape measure to make sure the barrel is level and sits even. 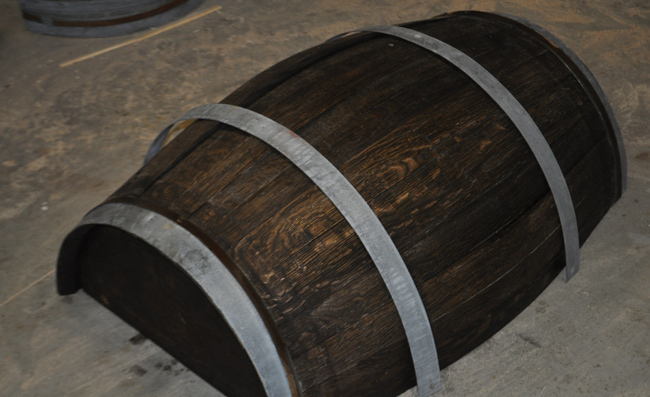 Side view of the barrel. 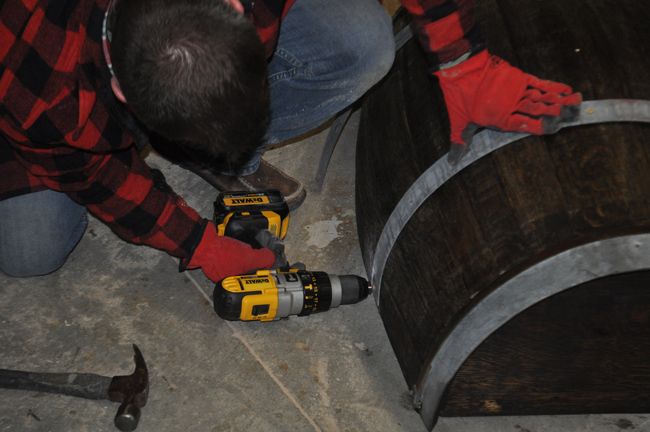 Attach the whiskey barrel to the base using 3 inch wood screws. 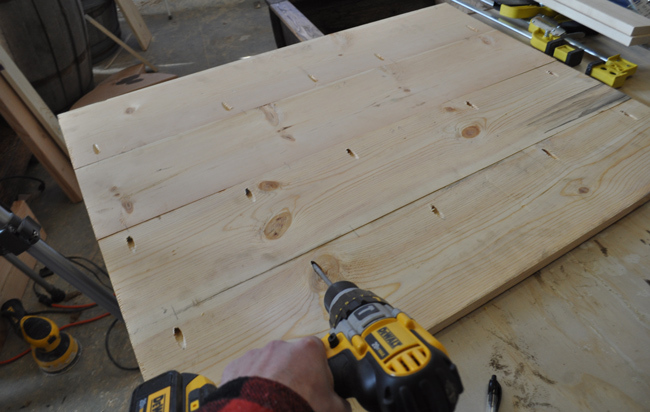 Drill pilot holes first so the wood does not split. 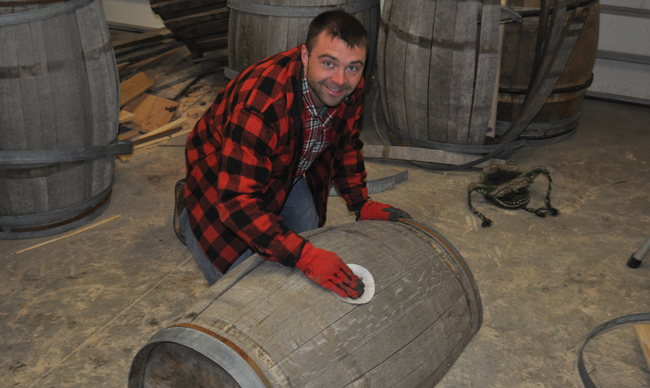 It's time to build the apron around the top of the barrel. 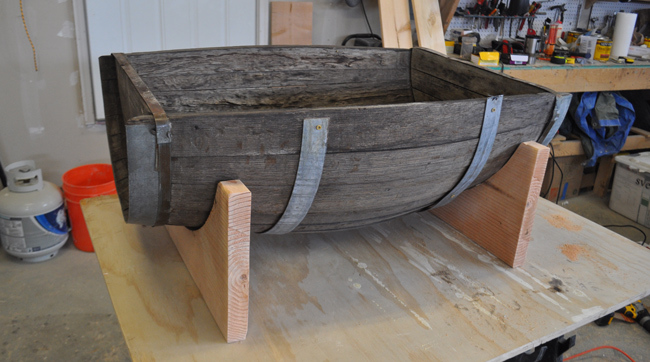 The total length of the barrel was 37 inches so I cut two pieces of 1×4 board to 37 inches. The total width of the barrel at its widest point is 27 inches. I flushed up the 1×4 with the barrel and then cut two pieces 20 inches long for the sides. 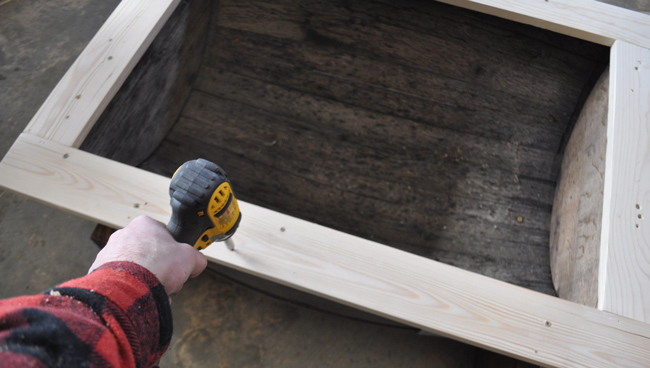 Connect the 1×4 apron pieces using a kreg jig. Drill 2 pocket holes on the ends of both shorter boards. 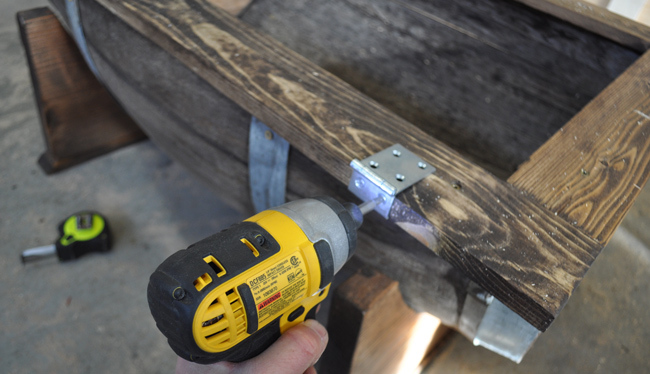 Next, use 1 1/4 inch kreg screws to connect the boards. 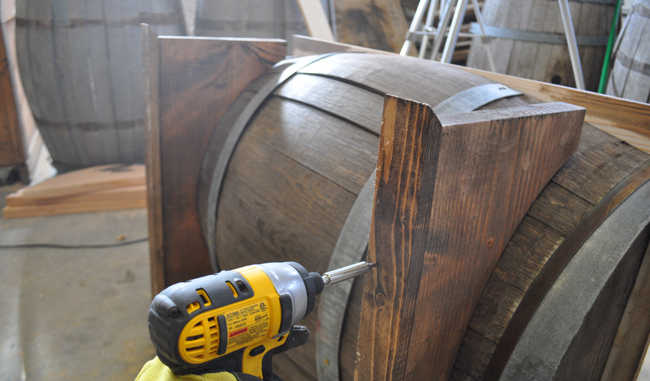 Center the apron on the barrel and attach using 1 1/2 inch wood screws. Make sure to pre-drill so the wood does not split. My helper Nala! 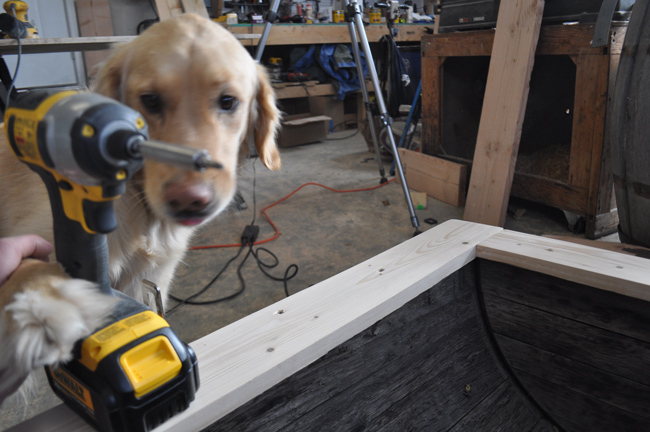 She has to learn how to use a drill sometime! Cut a 1×2 or 1×3 board to use for the decorative base piece. Mine was 29 inches long (2 inches longer than the 2×12 base piece). Bevel the ends at 45 degree angles. 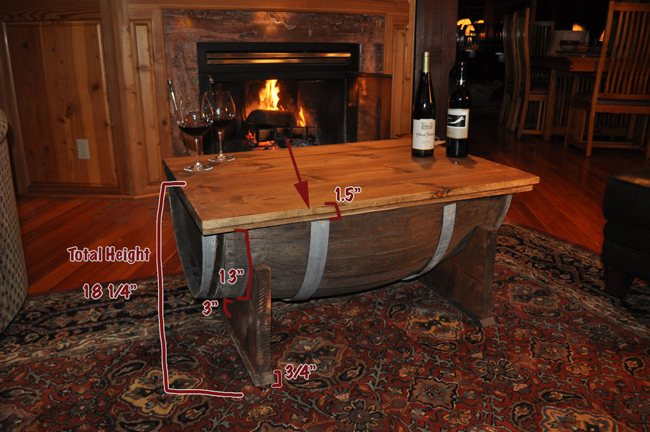 Attach the decorative base pieces using screws or nails. Cut four 1×8 boards for the table top. 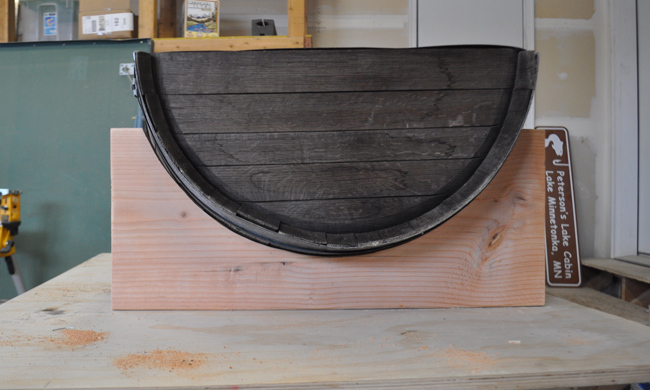 My whiskey barrel was 37 inches so I cut these boards to 38 inches. 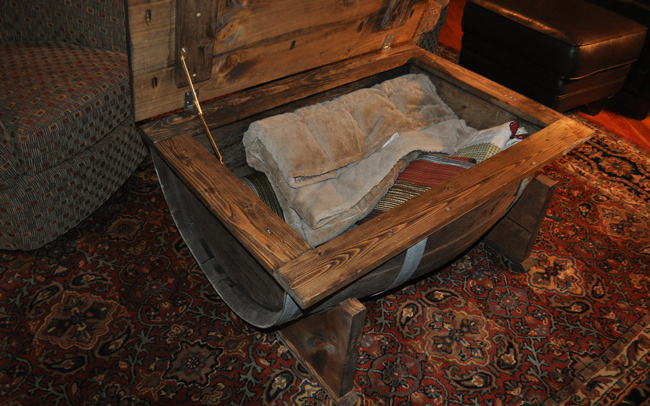 The extra inch makes a half inch lip on each side so you can easily open or close the chest. 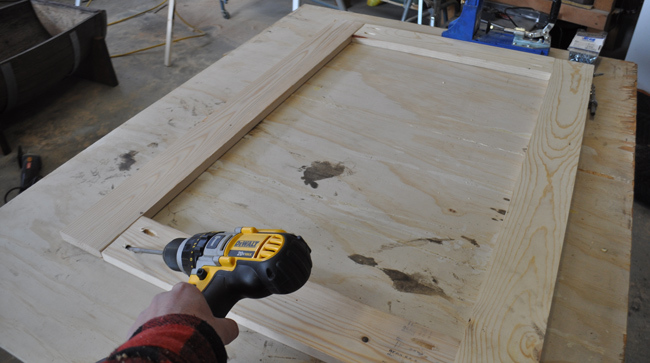 Next, use a Kreg Jig to drill pocket holes in the boards. Set the Kreg Jig to the 3/4 inch stock setting and space the pocket holes about 6-8 inches apart from each other. Then connect the boards using 1 1/4 inch Kreg Jig screws. Attach chest hinges to the back side of the apron. The hinges I used were about $6.00 and can be found here. Attach a lid support to the chest. Here is the lid support I used. 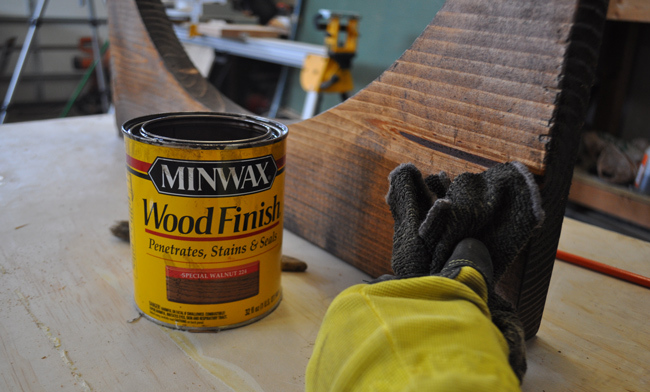 Stain any unfinished boards. 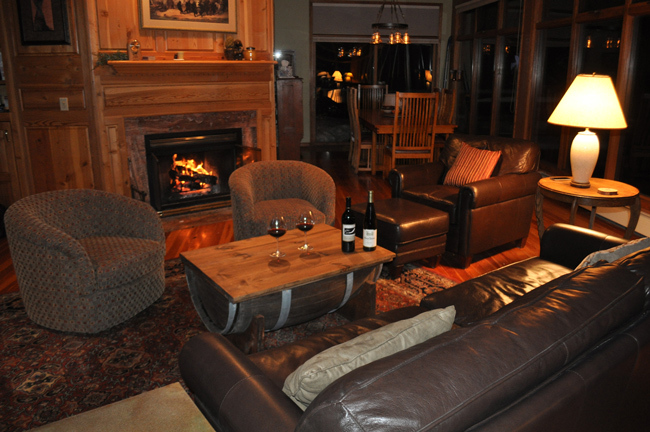 Apply a polyurethane for added protection. I ended up doing 3 thin coats of Minwax polyurethane on the table top. 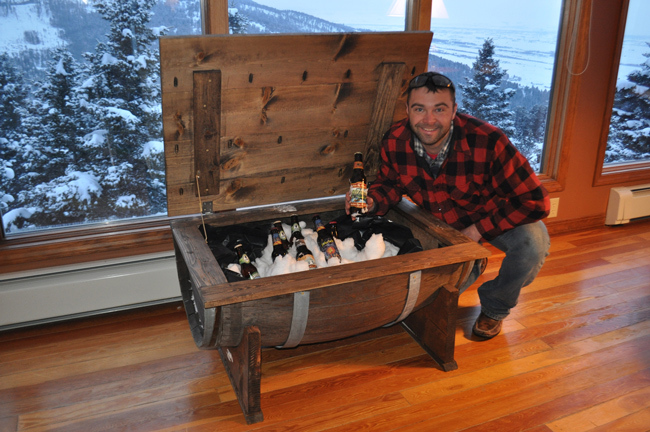 Oh yeah… I also use this as a WHISKEY BARREL COOLER! Line it with plastic and you'll have ice cold drinks for your next gathering! 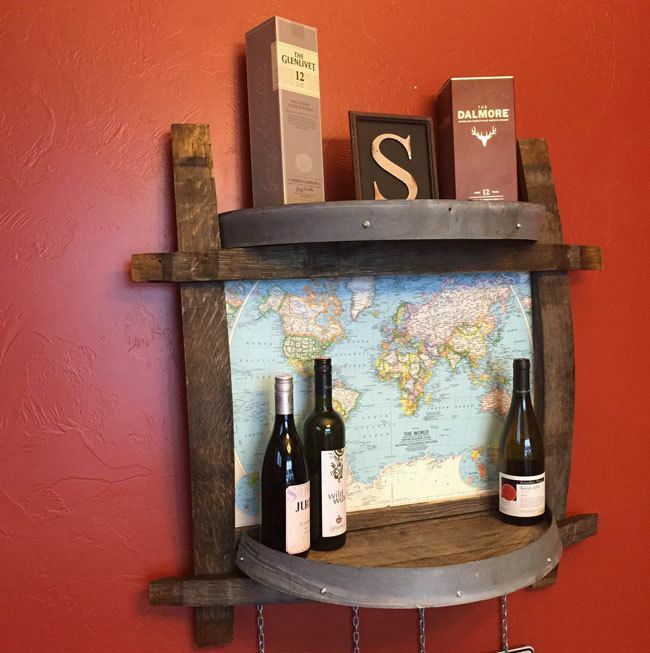 If you are looking for other barrel projects I'd recommend checking out my Wine Barrel Shelf Side Bar. Cheers! !